Good morning, dear tea friends! It’s a bright, cold November day today as we near Thanksgiving, a time to gather with family and friends to give thanks for all of the abundance in our lives. I think it’s especially important to focus on all that’s good in our lives what with the frightening events happening in the world. I’m thankful for a hot cup of tea on a cold morning and for all of you to share it with. 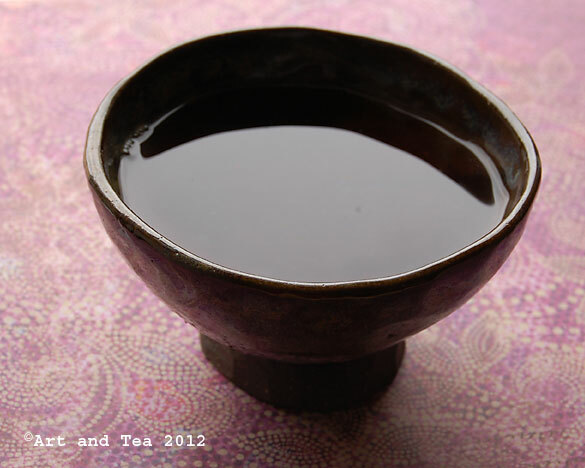 In my cup this morning is a China black tea from Yunnan province, called Yunnan Rare Grade. 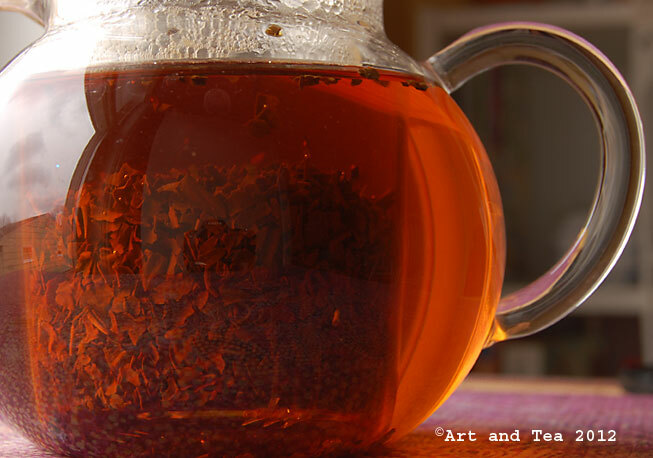 Composed of downy, golden tips, this tea is rich and inviting. I stepped out of the box a little bit and steeped the leaves for 6 minutes in boiling point (212F) water. I love how you can see the fine golden hairs even under water. The twisted tips release slightly after steeping, giving off a warm aroma with just a hint of cocoa. The tea itself has a toasty aroma. 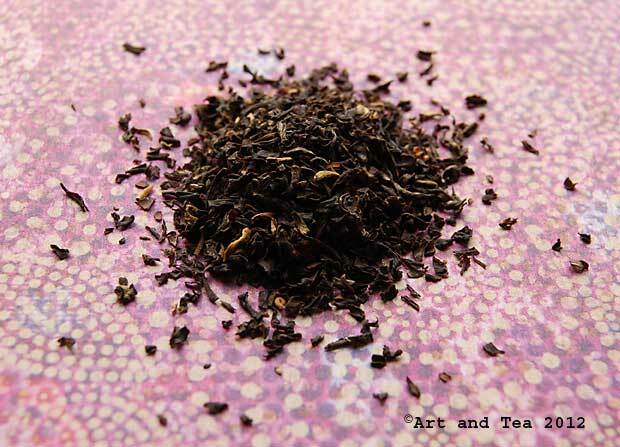 The beautiful dark-amber liquor is sooooo smooth with notes of biscuit/toast and hints of cocoa, which reveal themselves more as the tea cools. I feel this tea is inviting me to experiment with how long I can push its steep time. I’m comfortably settling in to my new home, one unpacked box at a time, and am looking forward to creating a special area in my dining room to display my tea bowl collection. Until our next cup of tea, I leave you with one of my favorite poems. Have a lovely Thanksgiving! sticks of the sun the heaped ashes of the night turn into leaves again. Good morning, dear tea friends, and Happy New Year to you all! 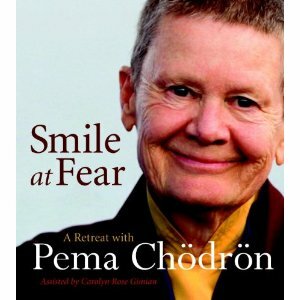 A year just started, all shiny and new, filled with possibility and, of course, many cups of tea. In my cup this morning is a black tea from Yunnan province in south China. I’m happy to introduce you to Yunnan FOP Select. As I’ve shared with you before, there are ancient tea trees growing in Yunnan province, one of the places in the world where tea is indigenous. These trees produce enormous leaves with a distinct flavor when processed. Because the leaf is larger on this whole leaf selection, I steeped for 5 minutes in boiling point (212F) water. I’m enjoying some closeups today. I think that tea leaves tell a story, not the “read your tea leaves” type of story, but a story of where they come from and how they were processed. Look at this leaf. It tells a story of how it was rolled and twisted during processing. The tea story continues in its aroma and flavor. 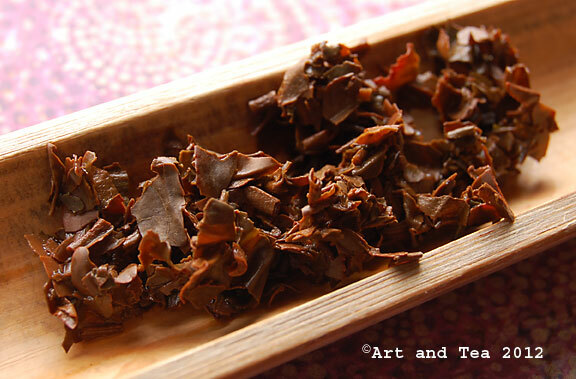 The deep russet-brown tea liquor has a rich, earthy aroma with a hint of spice and smoke. The first sip fills my mouth with a thickness reminiscent of very dark chocolate. The flavor is velvety smooth with notes of earth, spice, chocolate and a whisper of lingering smoke. Each sip warms me on this frigid day when temps will barely reach 20 degrees. Two of my very dear friends are coming to visit me today. I’m looking forward to an afternoon filled with conversation, laughter and tea! A good morning to you, dear tea friends! I’m still experiencing computer issues, unfortunately, but there is some good news to report. My tech savvy friend is coming over today to see if my computer can be brought back to life. If not, I’ll have to make some decisions and move forward. As my tea post library is rich and full, I leave you with a Yunnan tea review from a couple of years ago. Enjoy! A couple of days ago, we did a Yunnan black tea cupping at work, comparing 8 of our current Yunnan selections. I enjoy the cuppings very much because I find it so interesting to taste the teas side by side and discern their similarities and differences, especially within a category. So, with that cupping still fresh in my mind, I chose one of those Yunnan teas as my morning tea today. It’s the only broken leaf one of the group, called Yunnan FBOP(Flowery Broken Orange Pekoe). Happy New Year, dear tea friends! I hope that everyone had a great time over the holidays and now here we are in a brand new year with many wonderful tea moments to look forward to. Shall we get started? I have some exciting news to share with you! One of my dreams came true when I received the most amazing gift on Christmas – a micro lens for my Nikon camera. I’ve enjoyed photography for many years, starting out by taking loads of pictures of my kids as they were growing up. 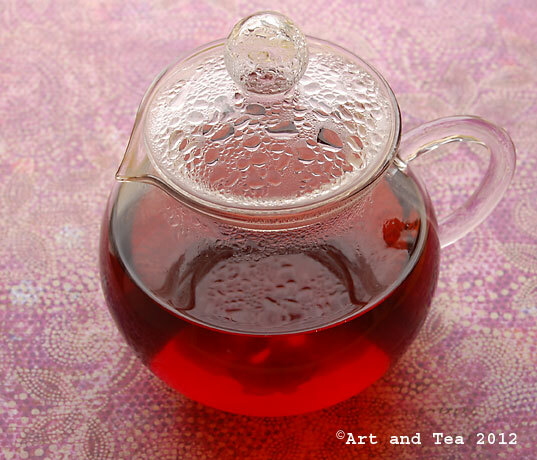 Over the years, I found myself drawn more and more to the closeup shots, especially when I started taking tea pictures almost 6 years ago. This morning I share with you my first shots with my brand new lens – a China black called Yunnan Black Snail. From Yunnan province in China, this tea is produced from a large leaf varietal. The leaves are rolled into spiral shapes, reminiscent of snails. After a 5 minute steeping in boiling point (212F) water, take a look at this gorgeous unfurled leaf. You can see how it was twisted as it was rolled and curled. The deep dark amber-colored tea liquor has a spicy aroma with hints of cocoa. The flavor is smooth and rich with a sweet caramel-y nuance along with notes of spice and cocoa. For its beautiful leaf and depth of flavor, this tea is an amazing value. I’m already on my second cup! Speaking of cups, I received this beautiful, handmade teamug as a gift. The blue glaze drips down a brown background in a lovely pattern, which I’m so enjoying looking at as I sip my tea and contemplate the new year. I’ve already set some goals for myself this year, one of them being to move on beyond the portfolio website I created in my online class and create a new website where I can sell my jewelry. Another goal is to share my art much more often here on my blog. What goals have you set for 2013? As always, thanks for stopping by and joining me in a cup of tea!